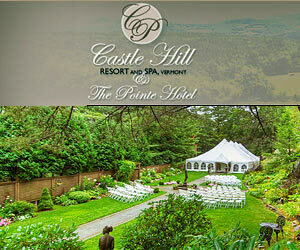 Castle Hill Resort and Spa is a member of Historic Hotels of America and Small Luxury Hotels of the World and is also listed on the National Register of Historic Places. Luxury reigns supreme at this elegant, full-service Vermont resort which features a unique collection of individually decorated guest rooms. Once the home of a Vermont Governor, discerning travelers will feel pampered in the 10 Castle Hill rooms which blend classic elegance with modern technology. A highly recommended Vermont Inn and Spa. Ask us about Okemo VT Lodging. If you would like to add your Okemo Mt. Ludlow area Vermont Country Inn, Lodge or Bed Breakfast Inn to this web site, please contact us.